I’m so, so happy at how everything turned out! I feel like every party I throw becomes my favorite party ever, but this one really is at the top of the list! 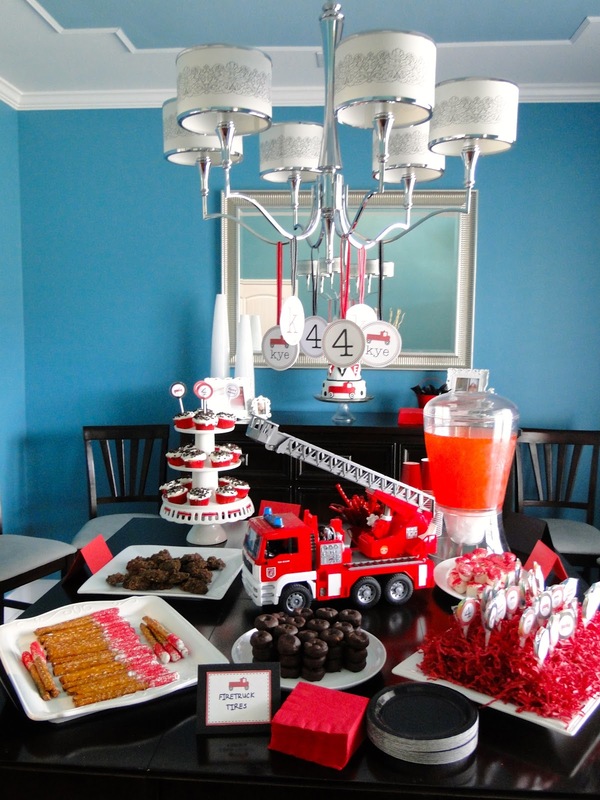 Food Area: I used the firetruck Kye got from Santa for Christmas as a centerpiece in the dining room then I made party circles to hang from the chandelier. 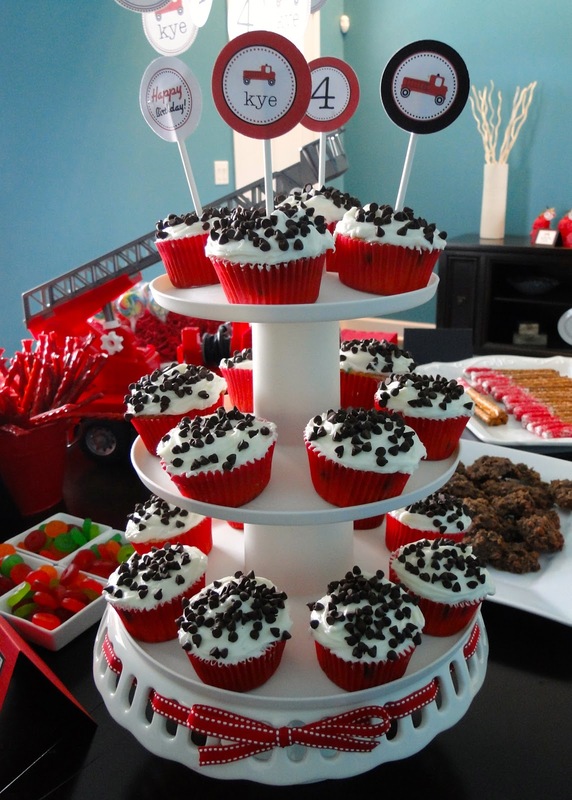 I have decided that probably every party I throw will be a sweets-only party. 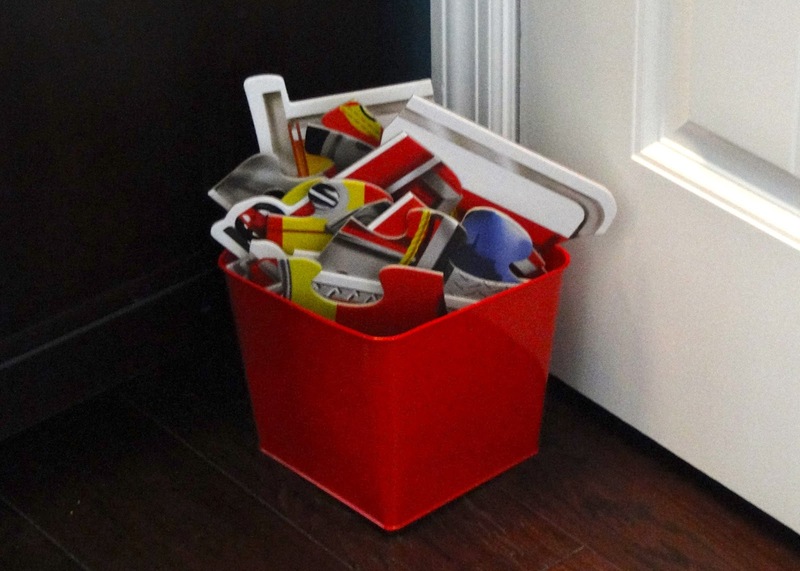 SO much cheaper, easier to put together, and cuter! 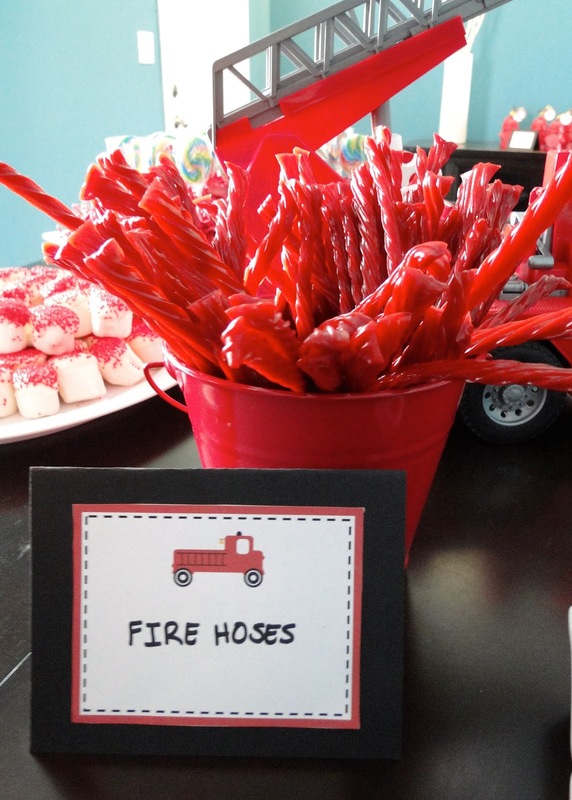 Suckers: I bought two packs of lollipops (total of $5) then used mod podge to glue party of the party printables on each one. I repurposed the same green foamy type squares used for flower arrangements that I had used for Kye’s Golf Party and stuck the suckers in them and covered it all using some shredded red paper I’d already had bought for a diaper cake I made for Crissy’s baby shower. 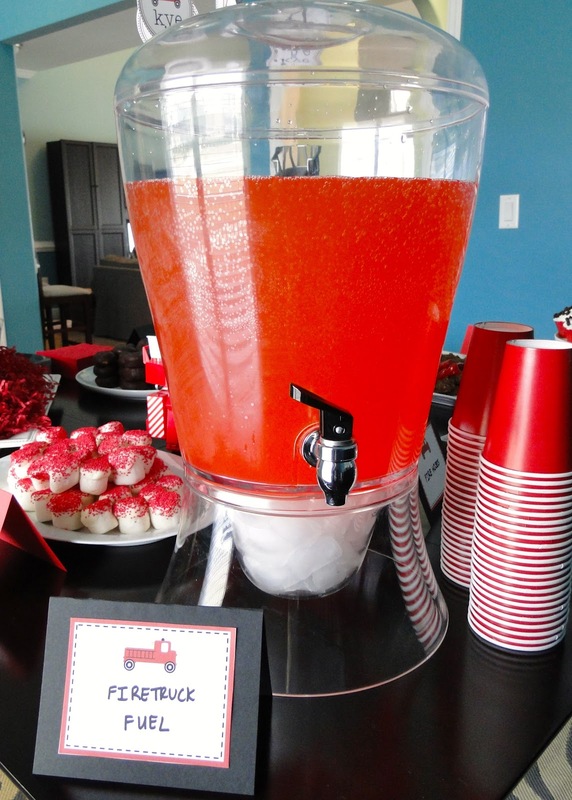 I made a red punch and MEANT to put out some water too but totally forgot! 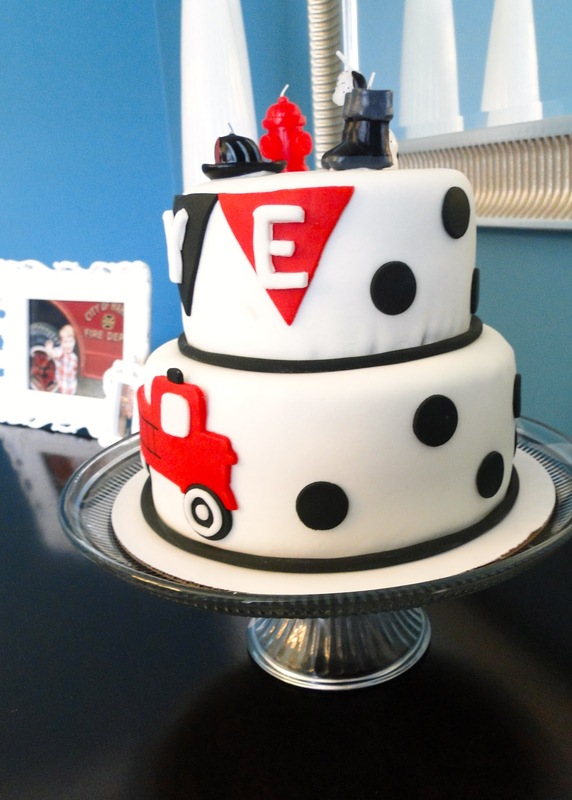 I am IN LOVE with how his cake turned out! 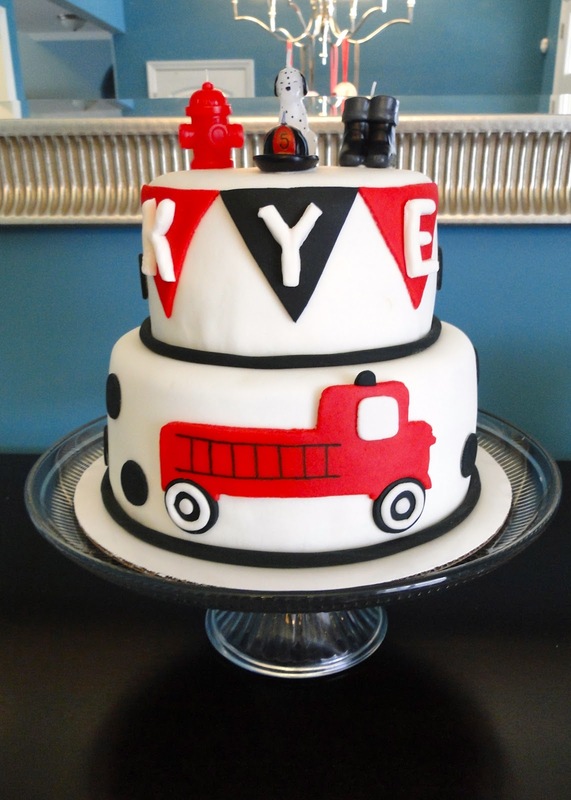 HUGE thanks to Heather (who also did his Woody cake last year, remember?). 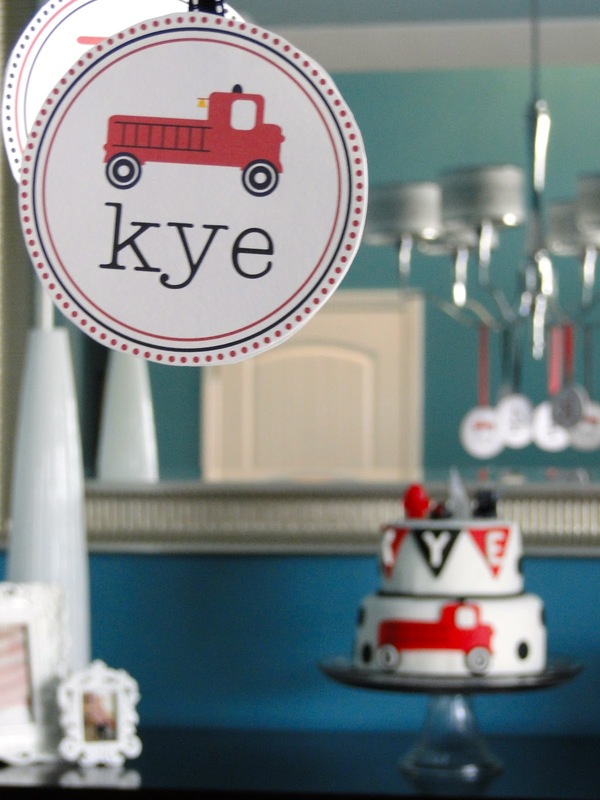 She matched the invitations PERFECTLY!!! 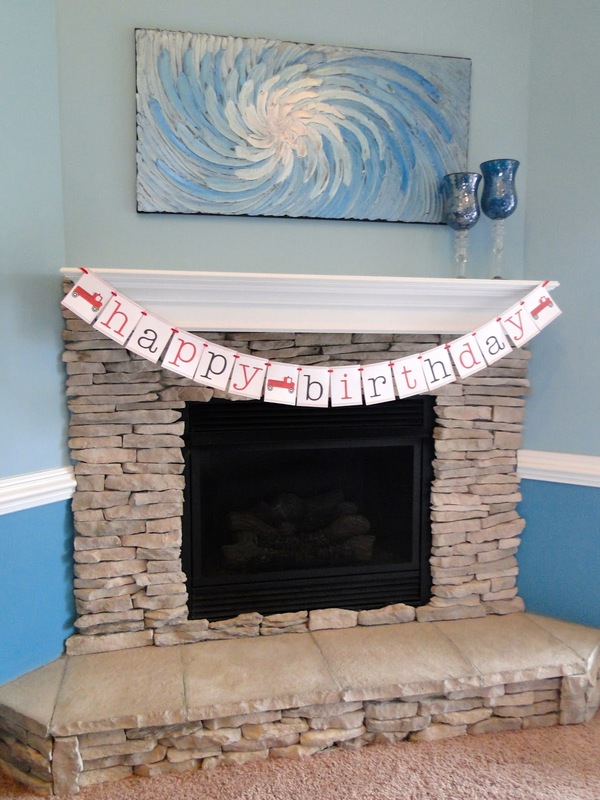 Living Room: It wouldn’t be a birthday party without a banner, right? 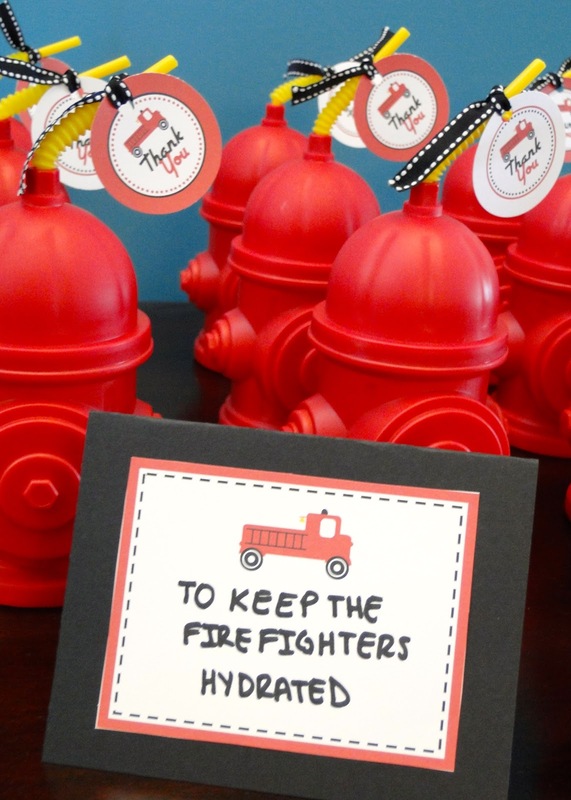 I LOVE buying party printable packs…makes life so much easier than having to make the banner myself and I think they always turn out so cute! All I had to do was print, cut it out, hole punch that beast, and run the ribbon through! Bam! 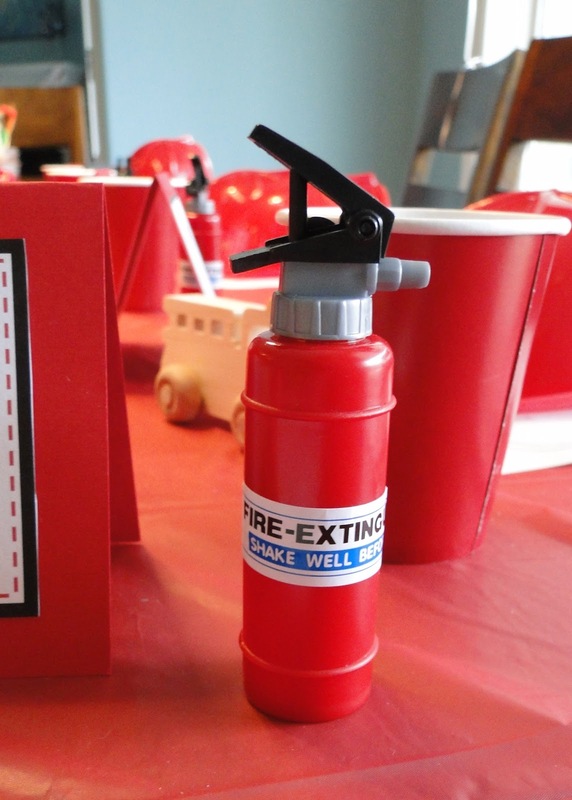 Last year we had tornados on Kye’s party day…this year? We had one of THE coldest days we saw the entire winter season. Awesome. 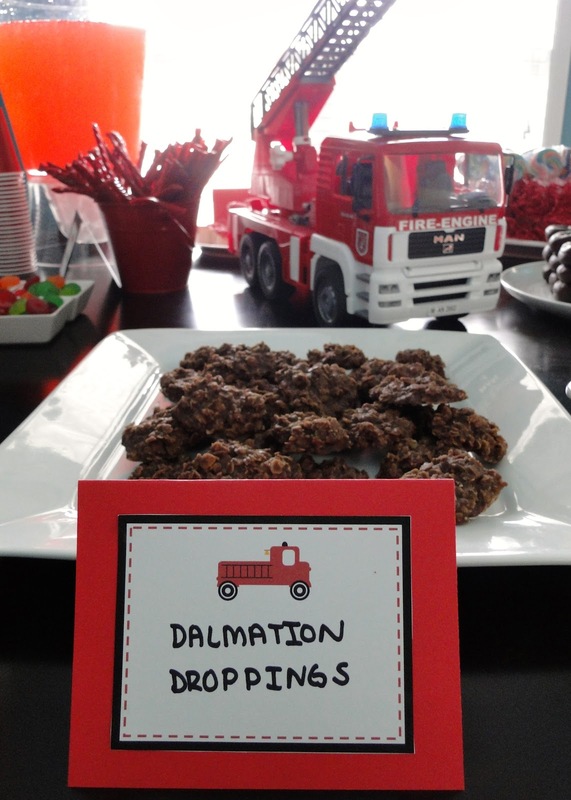 We originally planned for several outdoor activities but decided to move them inside and I got creative at the last minute and added a few extra indoor activities for the kids. 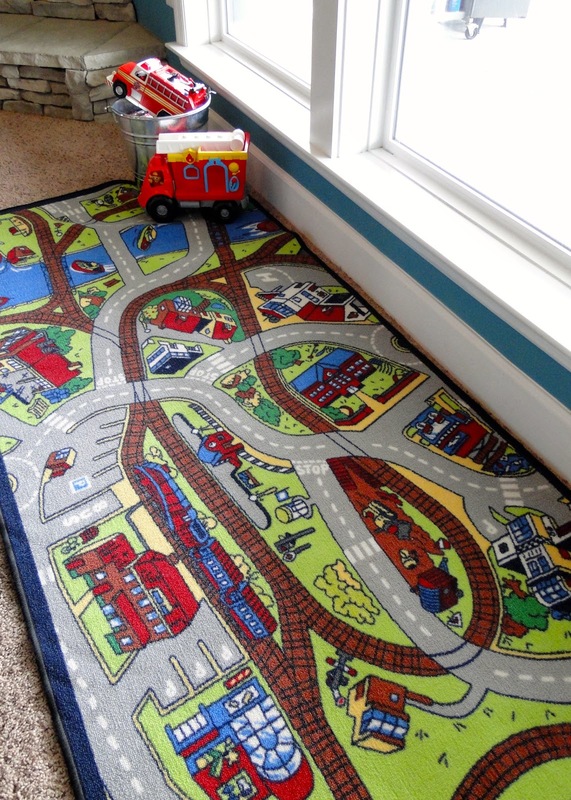 I pulled out Kye’s car mat and picked through all of his toys to find all the firetrucks. 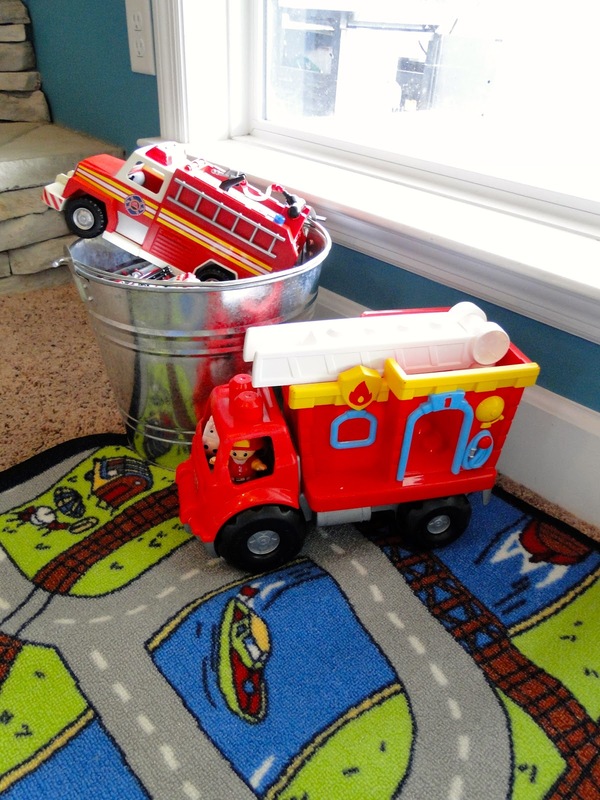 And he has a HUGE firetruck puzzle so I stuck the pieces in a bucket and had that sitting out as well! Craft Area: ALL of this was supposed to be outside. But with the weather, we moved it in. 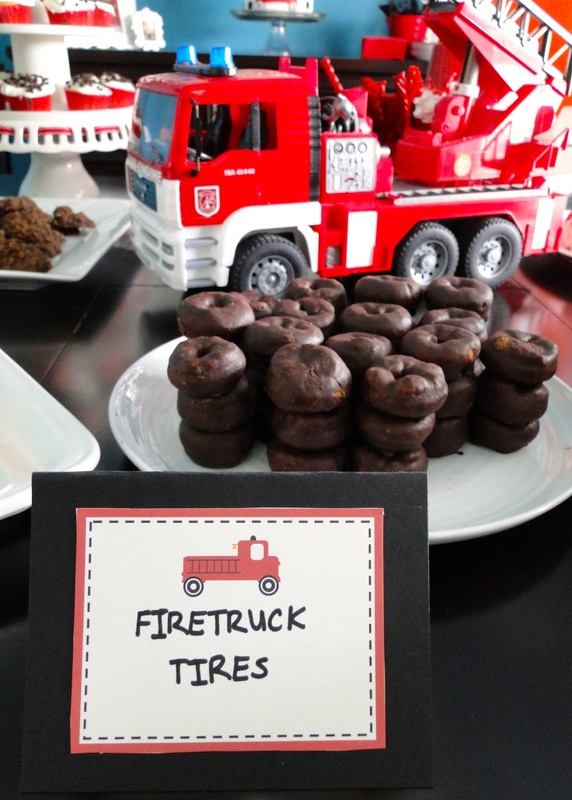 Since we invited a MUCH smaller crew for this party, I was able to do more fun stuff for each kid. 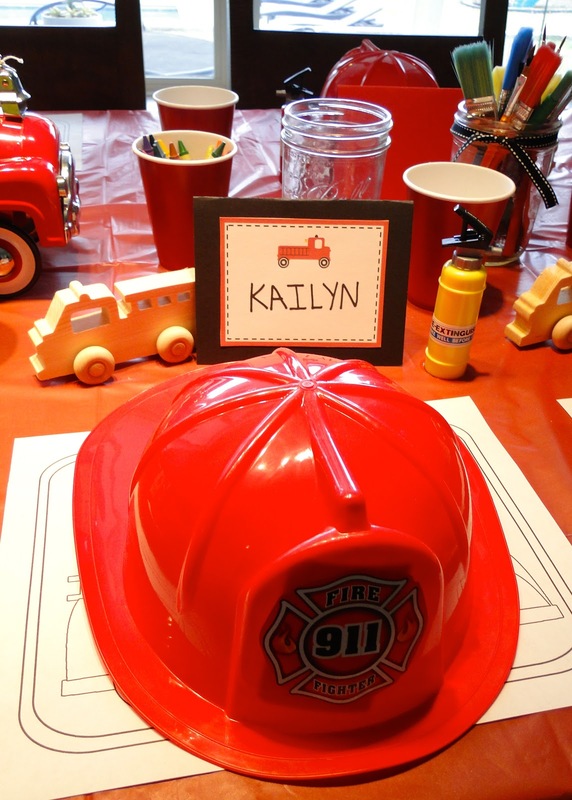 I made place cards for each child’s seat and had each of their activities/items at their spot! 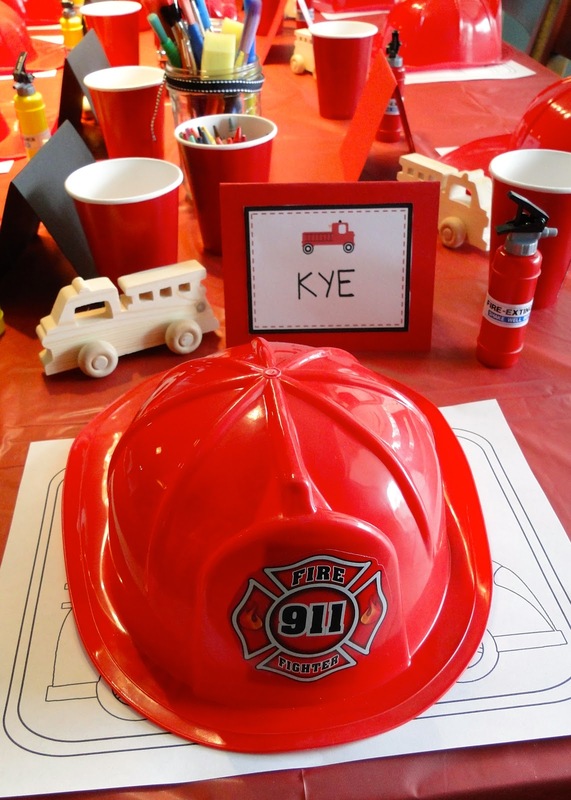 I LOVED the opportunity to use this fire truck. It was Kye’s FIRST truck ever…given as a gift with some flowers inside of it while we were at the hospital! My sweet brother, Ryan, and his fam sent it our way! 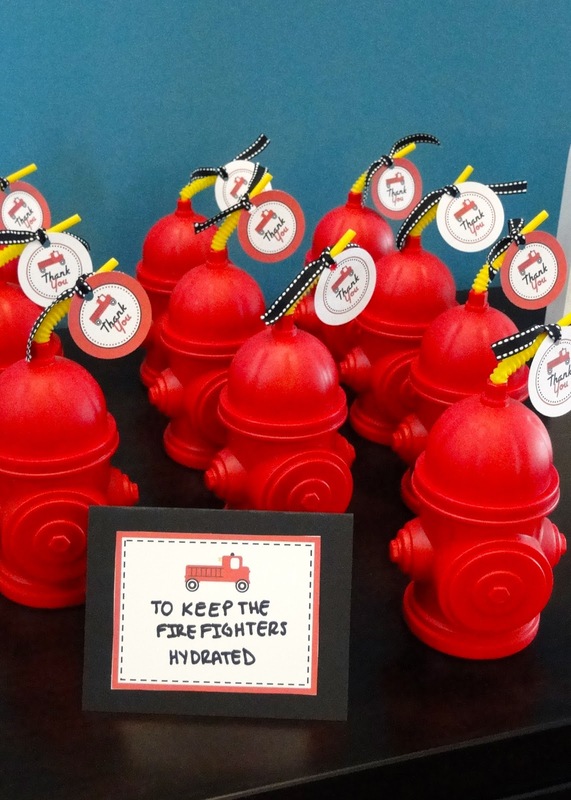 I found these really neat handmade wooden firetrucks and bought one for each “older kid” and decided to be supppper daring and have them paint it as a craft to take home! They also each had a personalized color page! 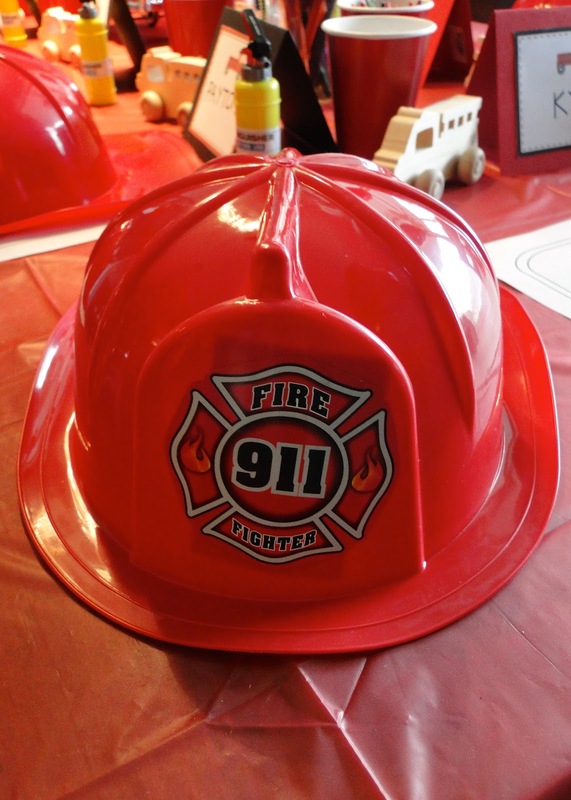 Of course, each of them had their own fire hat as well! Outside: Even though we nixed our original plan for a firefighter obstacle course, we still decided to do the flames on the fence. 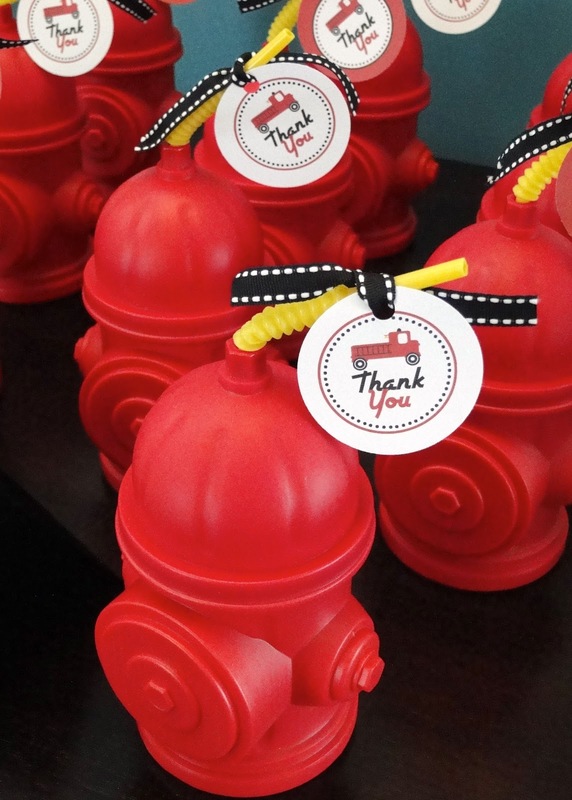 Favors: When I saw these fire hydrant cups on Pinterest I HAD to have them! I just got one for each “big kid” and an extra one for Britt (which someone took so she ended up not having one haha). 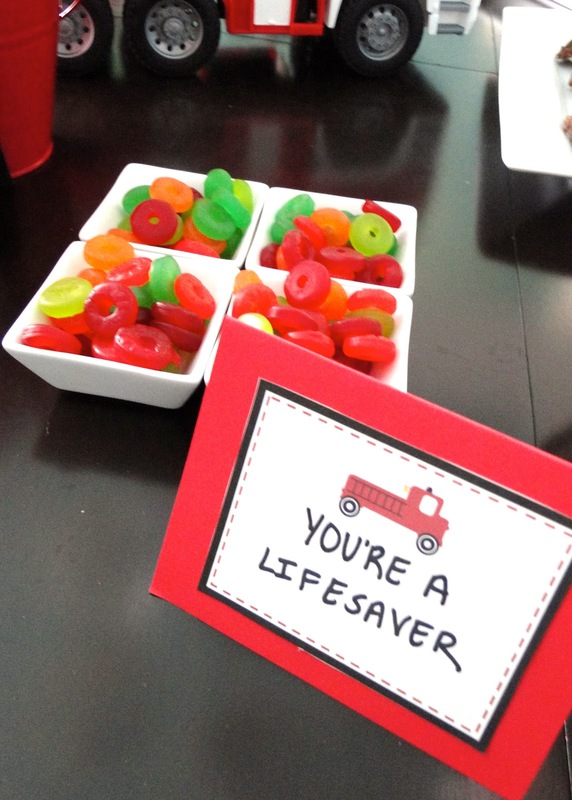 I cut out the “thank you” tags from the party pack, punched a hole in them, and attached them with cute ribbon. 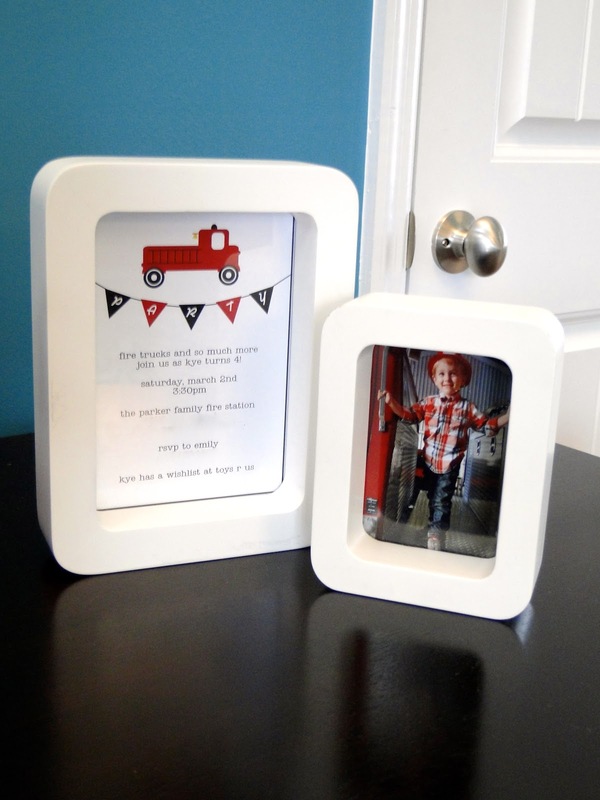 I also framed an invitation as well as other photos from our fire station visit! I’m SUPER happy with how everything turned out! 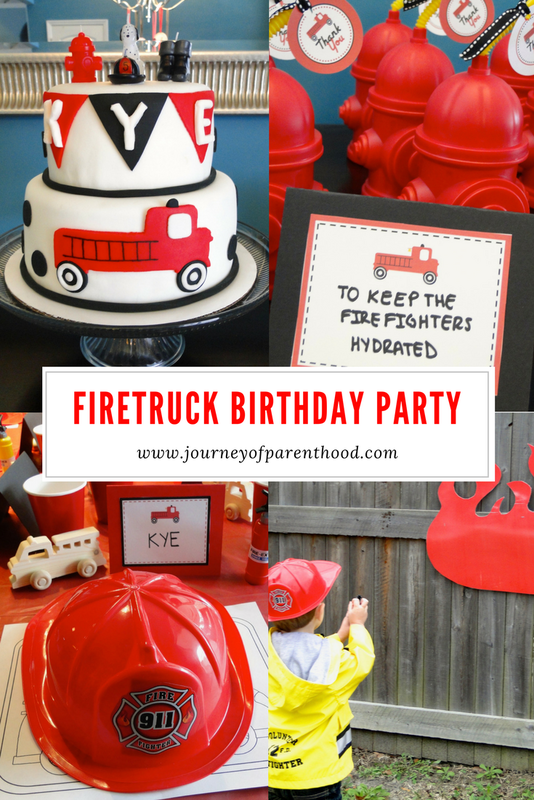 If you’re looking to plan a firefighter party you can see ALL of my ideas and inspirations for this party on my Pinterest board HERE! Liking what you see and want to know where I bought it all? 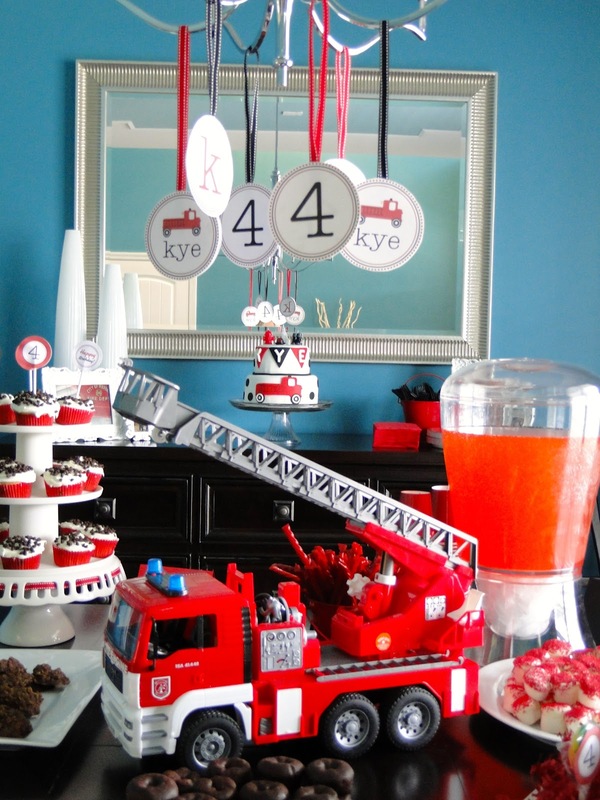 Next Post Kye’s 4th Birthday Party! This is just so cute!! 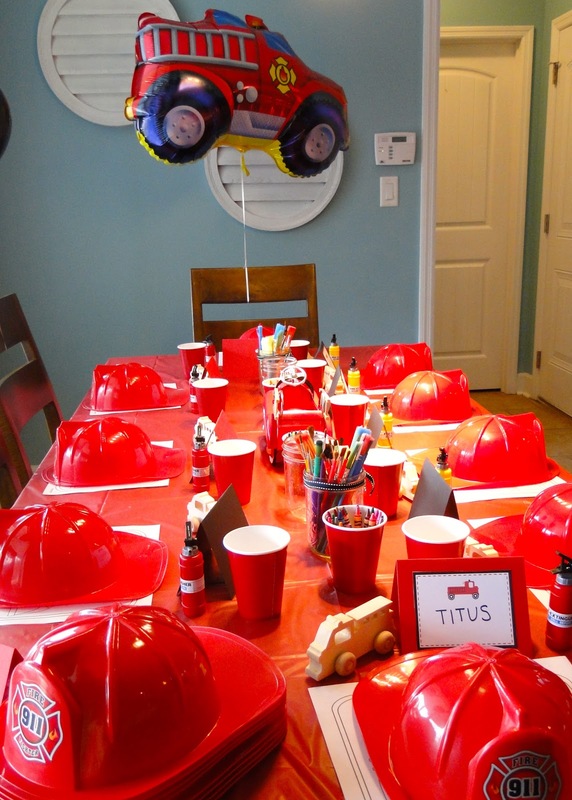 I will be using your ideas for my sons next birthday!!! 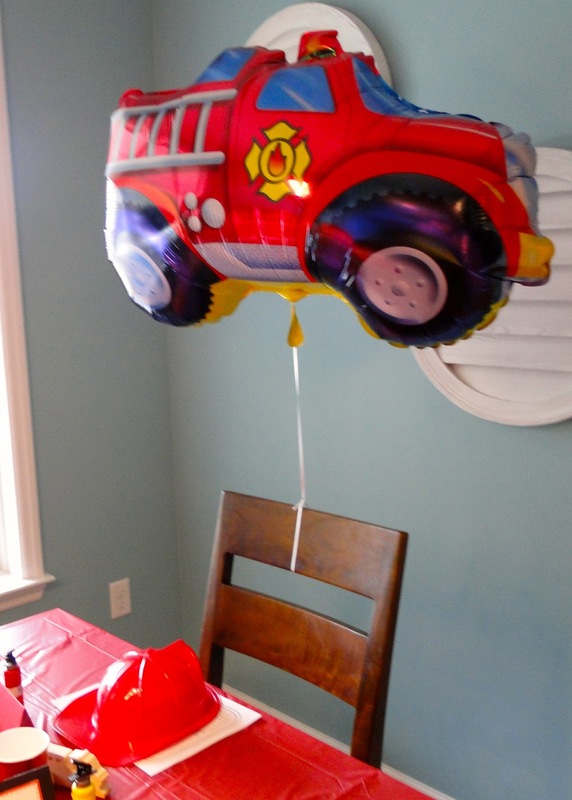 Balloons are one of those cheapest solid color birthday party decorations supplies that can do wonders for you. 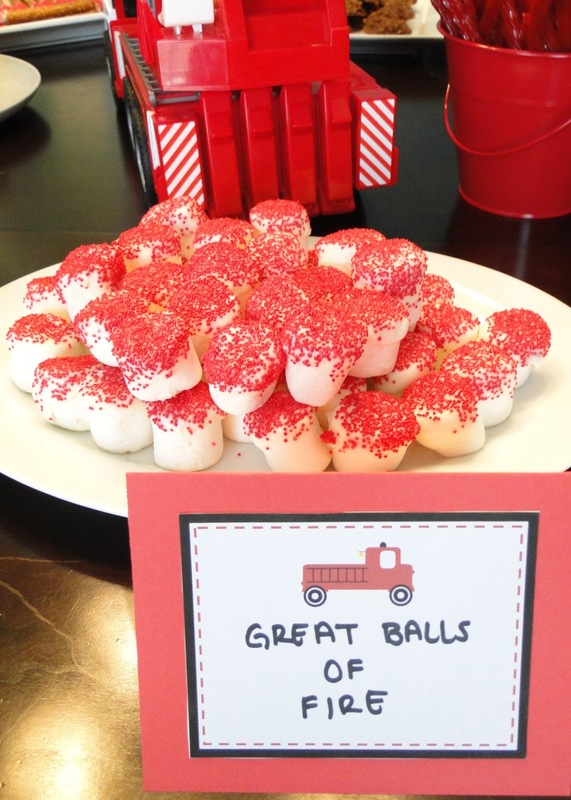 Hang them from the ceiling, let them float in the air, or fill them with confetti and have your guests blow them at midnight.